And how, blind men want to see again, silence is a faithful friend. Drenched in sunny nostalgia, Robbie Boyd shares the musical spirit of Paul Simon, Noah & the Whale and Vampire Weekend. His feel good folk-pop songs have already earned him national recognition with a live performance on ITV’s ‘This Morning’ to 1.3 million people, his singles have been played on Xfm, Absolute Radio and 6 Music and he was invited to perform on Chris Evans’ BBC Radio 2 Breakfast Show. His band made the top 20 of MTV’s Brand New Unsigned for 2013, and have toured Argentina, Italy, France, Germany and the UK. They have played on the same bill as The Kooks, Johnny Flynn, and Daughter, and graced the stages of the O2 Shepherd’s Bush Empire, Hyde Park, Bestival and Wilderness Festival. Discovered busking on the streets of London, Robbie grew up listening to and being inspired by artists like James Taylor, Bob Dylan and The Beatles. Music runs deep in Robbie’s veins and he’s been singing and playing guitar from a very early age. Robbie has built a large international fan base of 9,000 Facebook fans and 500,000 YouTube channel views. 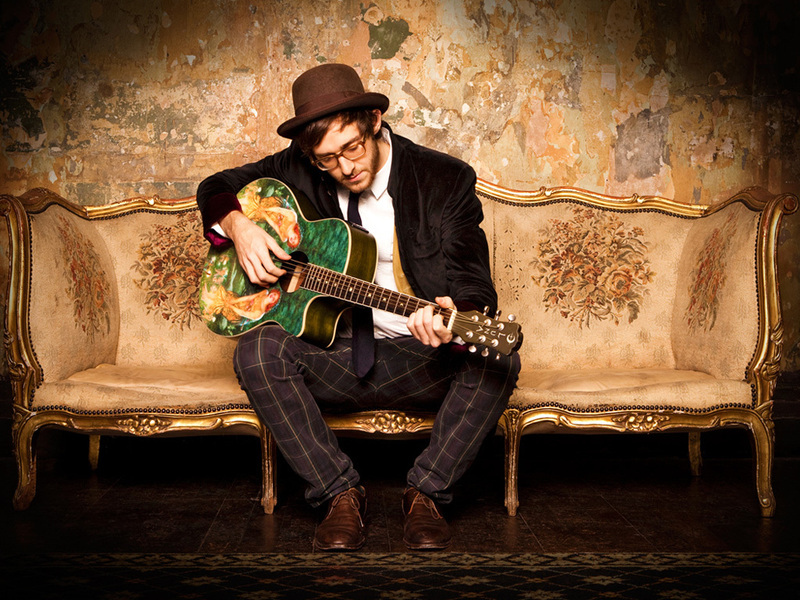 His live shows have been positively reviewed in The Times, Evening Standard and The Telegraph. His former single ‘When I Believe’ was chosen as Record of the Day’s ‘Record of the Day’ and his first air played song ‘Oh Alaska’ made the finals of the International Songwriting Competition in Nashville. Robbie’s charming songwriting and distinctive vocals combine with colourful arrangements and nostalgic harmonies. He works with an eclectic mix of talented musicians, to produce an exciting and uplifting contemporary urban folk sound. Just in time for the summer, ‘Painted Sky’ is an upbeat four track EP featuring ‘Before It Falls Apart’, ‘Oh Alaska’, ‘Red Queen’ and new single ‘I Want You To Stay’.